A new fight has erupted in Juneau over spending on Alaska’s public schools. The idea is to let school districts know how much money they’ll have for things like teachers, maintenance and supplies – and to do it more than a year in advance, so that legislative budget gridlock, or a gubernatorial veto, doesn’t derail districts’ planning. The previously-budgeted money should mean that lawmakers won’t have to deal with a nasty education budget fight this year, right? A new four-page memo from Attorney General Kevin Clarkson backs Dunleavy’s argument, saying the Legislature’s move to forward-fund education was unconstitutional. That, Clarkson wrote, is because the Alaska Constitution bans lawmakers from dedicating revenues to specific programs, and also because of requirements for annual budgeting and a section that sets out the governor’s line-item veto power. The memo was first reported by the Alaska Landmine, a political blog, then distributed Thursday by Dunleavy’s office. Dunleavy, a Republican, has pushed for sharp cuts to schools spending. He spoke at this week’s news conference with a red pen in his jacket pocket — a reminder of his authority to veto money for specific programs. The state House on Thursday passed a version of the budget that relies on last year’s move to forward-fund education, and it has no per-student schools spending in it for next year. 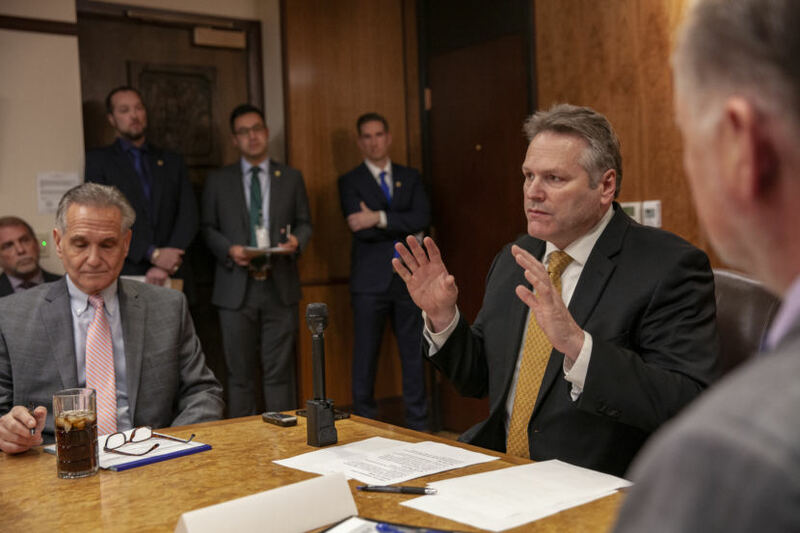 Dunleavy’s administration argues that lawmakers need to include the schools’ money in the budget — which would make it subject to the governor’s veto. Otherwise, schools won’t get the cash when the new fiscal year starts July 1, Budget Director Donna Arduin wrote in a Monday letter to House leaders. 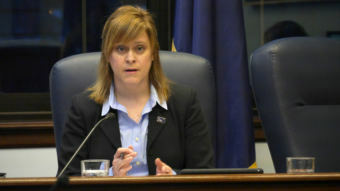 Anchorage Republican Sen. Mia Costello got her own legal opinion Wednesday from a legislative attorney that says the Dunleavy administration’s analysis is wrong. Costello’s memo said the governor already acknowledged the legitimacy of the forward funding when he put language in his own budget proposal to repeal the money. Costello, in a phone interview Thursday, said lawmakers are still proceeding under the assumption that schools should get next year’s money without further action. “We supported the schools with that amount of money, and we stand by that action,” she said.